By Ludwig van Beethoven. Edited by Artur Schnabel. For Piano. Piano Solo. Belwin Classic Library. Masterwork. Level: Early Advanced. Published by Alfred Publishing. ISBN 0757937519. English. Artur Schnabel was one of the world's greatest interpreters of Beethoven. 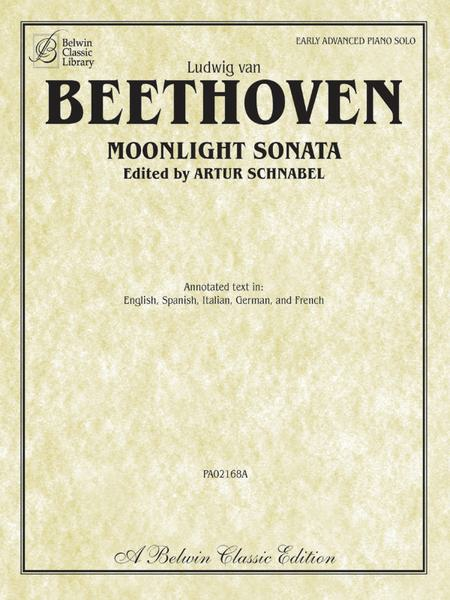 Schnabel collated every Beethoven manuscript and first edition he could find and then went to work to supply a guide to interpretation that is a monumental achievement. This newly engraved edition is based on that scrupulous scholarship and attention to detail. Included are Schnabel's footnotes in English, Spanish, Italian, German, and French. This edition will prove indispensable for study and concert or recital preparation.